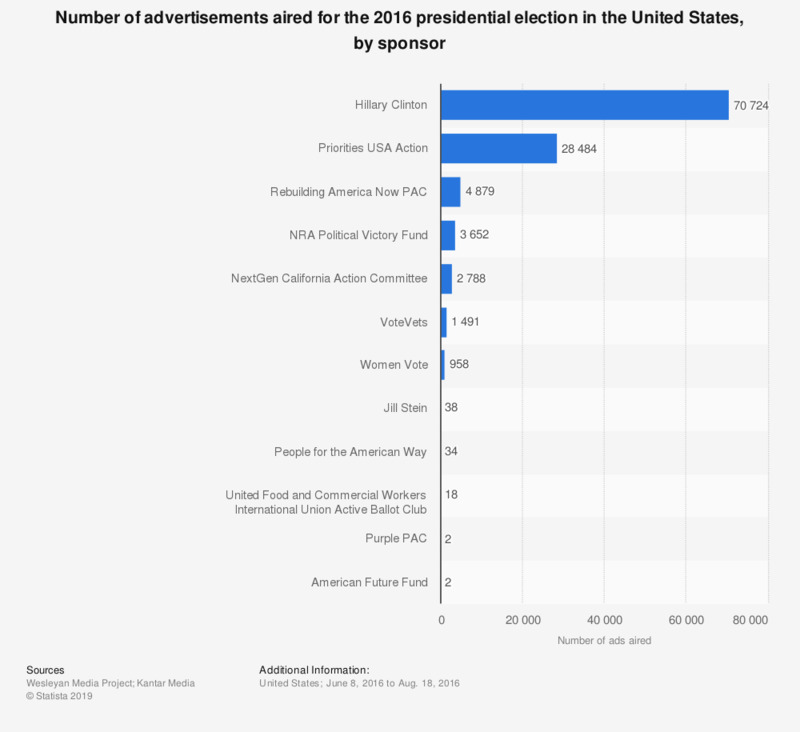 This statistic shows the number of ads aired in the 2016 United States presidential race. Between June 8, 2016 to August 18, 2016, 28,484 ads were sponsored by Priorities USA Action. Everything On "Political advertising in the U.S." in One Document: Edited and Divided into Handy Chapters. Including Detailed References.